Use this “Picture of Practice” video to see how one teacher uses media to generate discussion and self-awareness about cultural identity. 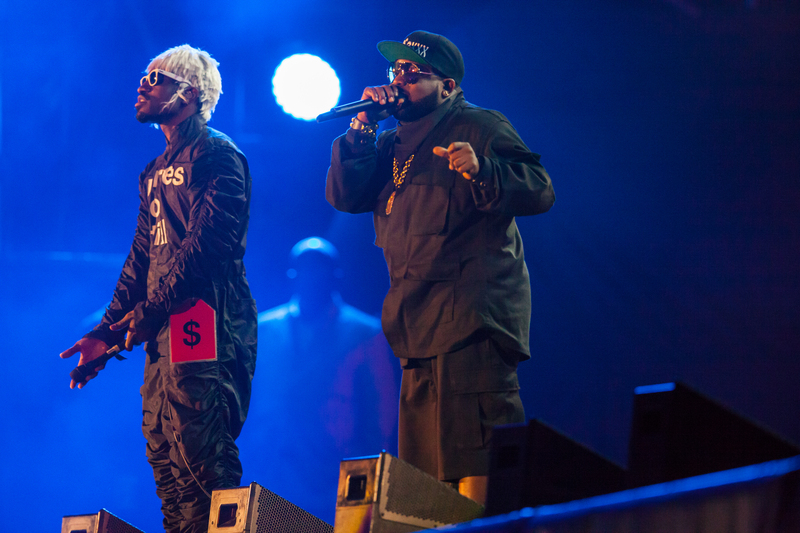 Andre 3000, left, and Big Boi, are Atlanta’s most visible hip-hop icons—Outkast. Photograph by Sven Mandel, courtesy Wikimedia. This file is licensed under the Creative Commons Attribution-Share Alike 3.0 Unported license. Killer Mike, an Atlanta-based rapper, says that the cultural identity of Atlanta includes church, partying, and even “avant-garde thinking”—and that Outkast’s work reflects all of that. (The group’s second album is even titled ATliens, playing on Atlanta’s acronym—ATL.) Read through our short profile of dancer and choreographer Kyle Abraham. (Do yourself a favor and watch the videos in our resource carousel, too!) Does he incorporate a similar “sense of place” in his work? How? What far-away communities make up your culture? Your national heritage or immigration history? Your appreciation for a sports team, college, or style of art/music? Andre 3000 says “The best way to represent the places where you from is be yourself, completely. And just say, ‘I’m from this place. '” How is that attitude a variation of Nat Geo’s definition of cultural identity—”the way a person views themselves in relation to the learned characteristics and behaviors of a group or community”? How has your own individual identity contributed to the culture of your family, circle of friends, or classroom? How have different community identities (of sports teams, classrooms, church groups, family) contributed to how you view your own place in the world?